Today, wheat is produced for feed, flour, starch and bioethanol production. Therefore, wheat varieties are classified according to their quality characteristics. The fertilizer strategy also depends on production targets. Nitrogen plays the most important role here. 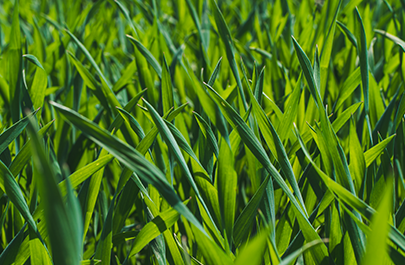 Wheat prefers medium to heavy soils at a neutral pH. Light and sandy soils tend to dry out faster in spring. 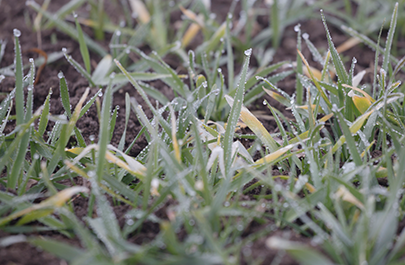 Wheat requires adequate water supply; dryness quickly leads to massive losses in yield. NPK+S fertilizer in autumn is a good basis. N+S fertilizers at shooting have a positive effect on yield and protein content. Nitrate-based N fertilizers are most effective. Use of the N-Pilot for optimal N supply. This crop is normally sown in October, often later. Depending on site conditions, variety, and sowing date, the seed density is between 250-450 grains per m². Taking the varieties of ear type (preferably lower) and stock density (preferably higher) into account, the desired number of spiked stalks can vary from 450-600 per m². Although the roots can penetrate to a depth of 120cm, wheat needs at least 300-500mm of precipitation a year. Additional water supply allows even higher yields. Depending on the variety, the optimal accumulated temperature is from 1800 to 2200°C, so wheat can be grown in almost every region. A recommended fertilization plan takes the previous crop, soil conditions, and the supply of the main nutrients (phosphorus, potassium and magnesium) into account. It is crucial to apply the right amount of nutrients according to a defined strategy and to pay attention to the right time of application. Depending on yield, wheat deprives the soil of an unequal amount of nutrients (see table). The amount of nutrients contained in crop residues remaining in the field after harvesting is well below the extraction rate. In order to maintain soil fertility, the amount of nutrients removed must be returned. This can be done both by organic and by mineral fertilizer or by a balanced combination of both. The table shows both the nutrient uptake by the plant and the extraction per tonne of grain yield. Wheat is extremely sensitive to N deficiency; however, phosphorus and sulphate also play an important role. for example, wheat with a production target of 8t/ha (14% crude protein) consumes 240kg N/ha. Assuming an average N replenishment from the soil (for example 50 N/ha) and additional N availability by means of a legume as a preceding crop (e.g. 30 N/ha), fertilization of 160kg N/ha is required. With the harvest, 176kg N/ha leave the field. 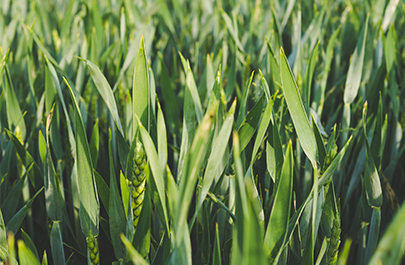 Winter wheat is usually fertilized three times, depending on the production target. The first dose of fertilizer in spring is crucial for an early start and quick development. This dose influences tillering and the quantity of ears (ears/m²). Especially after the winter, it is important to provide phosphorus, potash and sulphur for a good growth start. Special attention should be paid to the nitrogen form. Only nitrate is readily available under cool and cold spring conditions. The conversion of ammonium to nitrate at 5°C soil temperature can take up to several weeks. Low soil temperature also reduces the mobilisation of phosphorus. Therefore, the application of NP fertilizers containing water-soluble phosphorus is useful to provide enough available phosphorus. If phosphorus and potassium is not fertilized in autumn, the use of an NPK fertilizer in spring is recommended. The second dose is given in the period between the start of shooting and the two-node stage (EC 30-32). In this phase, the development of the spike takes place in the stalk and this stage is crucial for the formation of a larger quantity of grains per ear. A denser stock should be fertilized a little later (EC 32). Thus, the wheat has enough time to reduce the shoots due to lack of nitrogen. If the stock is too sparse, every single stalk must develop into a productive ear, which requires earlier fertilization (EC 30). From stage EC 31 to stage EC 39, wheat consumes up to 5kg N/ha/day. Therefore, it is necessary to provide enough nitrogen in the first and second doses (combined 120-140kg N/ha). The stock density can be controlled best with nitrate nitrogen. The last application is made between the appearance of the flag leaf (EC 37) and the beginning of ear emergence (EC 51). At this stage, nitrogen administration has a significant impact on grain weight and protein content. Fertilization is already required at the flag leaf stage (EC 37-39) if the yield is to be maximized. Feed wheat is usually fertilized at this stage, if necessary. The dose at ear emergence maximises protein content (quality). Quality wheat is fertilized at this stage. All straight nitrogen fertilizers may be used as nitrogen sources (NAC 27 N, AN 33.5 N). However, current test results show a higher protein content if an N+S fertilizer (ASN, NAC + S 24 N + 17SO3, VARIO 23 N + 25SO3) is used. Of course, the third application can be skipped if yield expectations are low due to adverse weather conditions or any other negative impact on yield.